Anyone who has ever watched Sesame Street or enjoyed John Denver’s acting or been alive during the ‘70s, ‘80s, or ‘90s loves the Muppets. Kermit the Frog, Miss Piggy, Fozzie Bear, the Great Gonzo, and Rowlf the Dog have been the stars of numerous TV shows, theatrical films, and TV specials over the years. Like any other long-running series, the Muppets have seen their fair share of meteoric rises and punishing descents in their fortunes. With the premiere of their newest TV series, The Muppets, rapidly approaching on September 22, I’d like to explore the events leading up to this (hopefully) triumphant return of the Muppets to the small screen. So let’s take a wocka wocka down memory lane as we witness the rise and fall and rise and fall and rise of the Muppets! 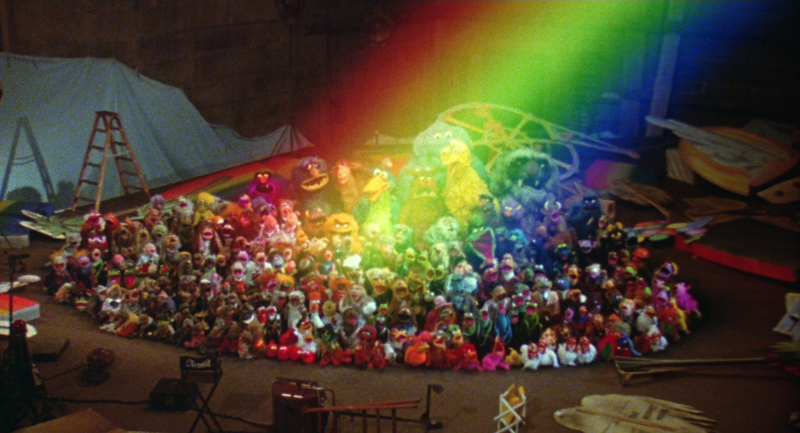 The Muppets are, of course, the brain child of visionary entertainer Jim Henson. Kermit and Rowlf were among his earliest (and most enduring) creations, first appearing in TV movies and shows in the 1960s. Miss Piggy and Fozzie followed in the ‘70s as the Muppets gained more and more prominence on TV shows. Finally, the whole gang came together in what is quite possibly the zenith of their popularity, The Muppet Show. From 1976 to 1981, this show dazzled audiences with its irreverent and yet kid-friendly brand of humor, featuring the biggest stars of the time as its guest stars. I only saw the show on reruns, but I particularly remember seeing Roger Moore, Mark Hamill, and Madeline Kahn gracing the screen. Theatrical films soon followed. 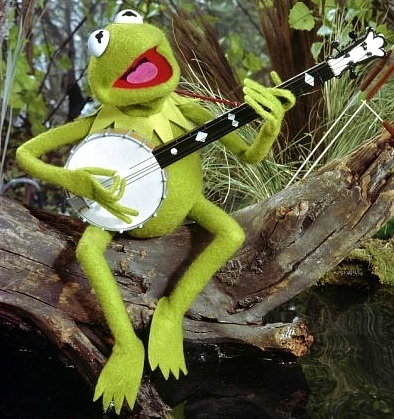 The Muppet Movie was a big hit in 1979, earning the equivalent of $210 million today. No other Muppet movie came close to that height, however. 1981’s The Great Muppet Caper earned just less than half as much as the first film and 1984’s The Muppets Take Manhattan earned still less. But even though the Muppet movies started to underperform, they caught the attention of the right people. In the late ‘70s, George Lucas was letting his imagination go wild, and he found a kindred spirit in Jim Henson. Lucas used the talent of Henson’s partner Frank Oz to bring to life the diminutive and yet wise Jedi master Yoda in The Empire Strikes Back and Return of the Jedi. Also, Gary Kurtz, the producer of the first two Star Wars films, produced Henson’s ambitious project, The Dark Crystal. Then came 1986’s Labyrinth, which Lucas himself executive produced. Those last two films didn’t find their audience upon their initial release, but they have since become beloved cult classics. 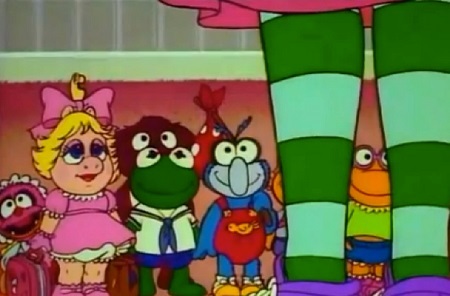 Henson had a hand in the creation of Muppet Babies and Fraggle Rock in the ‘80s. He also co-starred in the delightful 1985 Sesame Street movie, Follow That Bird, and he helped with the amazing costume design in 1990’s Teenage Mutant Ninja Turtles. But just as Henson was really hitting his stride, his life was sadly cut short. 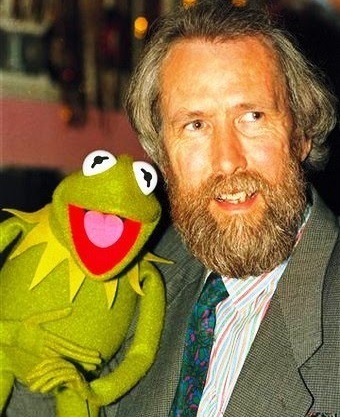 Jim Henson died suddenly in May 1990. That really took the wind out of the sails of Muppet fans. It had been six years since we’d seen a true Muppet movie, although the gang kept making TV appearances, even after The Muppet Show was canceled. The future seemed uncertain. While Henson’s death created a void for a short period of time, it was soon filled by his son Brian Henson, who would lead the Muppets through the tumultuous period of the ‘90s. The Brian Henson Era started off extremely well. In 1991, Dinosaurs debuted on TV, and it was hilarious. It lasted four seasons, and Henson produced, directed, and provided his voice talent in a number of episodes. 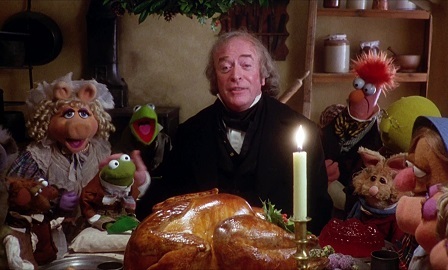 The following year saw the return of the Muppets to the big screen with the surprisingly touching and funny Brian Henson-directed The Muppet Christmas Carol. It was a modest hit at the box office and it was followed by 1996’s Muppet Treasure Island, which did a little bit better. 1996 also saw the debut of Muppets Tonight, a fun little variety show that copied the format of the original Muppet Show, but replaced Kermit the Frog as the host with a new character named Clifford (voiced by Kevin “Elmo” Clash). It only lasted two seasons before its low ratings caught up with it. All in all, the films and TV shows that Brian Henson helped create were by no means bad. But with the exception of Dinosaurs, these productions felt like they were trying to recreate the old magic instead of doing something bigger and better. 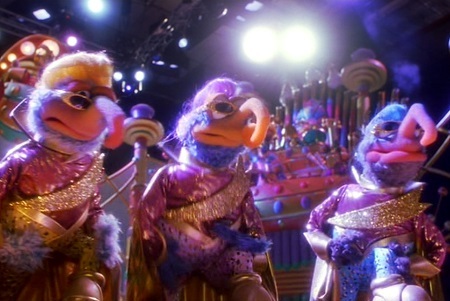 Everything went wrong with 1999’s Muppets from Space. Muppets Tonight had just been canceled, so a lot was riding on this film to prove that the Muppets were still popular enough to warrant attention on the big or small screen. Sadly, Muppets from Space proved to be the Star Trek: Nemesis of the series, trying to stitch together various gags that had been so successful before, but utterly failing to make any of them work. This went down as the least popular film in the series, grossing half as much as Muppet Treasure Island’s unspectacular $34 million. On a side note, The Adventures of Elmo in Grouchland made even less that year. The Muppets were forced out of the spotlight for the next 12 years. They appeared in the occasional TV movie, like 2005’s The Muppets’ Wizard of Oz, but it was going to take a big effort to bring them back out of obscurity. It turns out that what the Muppets desperately needed was Jason Segel. Segel co-wrote and starred in 2011’s The Muppets, a film that pumped a healthy dose of nostalgia into the proceedings while doing what the Muppets do best: going on the road and putting on a show. This film takes the best aspects of The Muppet Movie and The Muppets Take Manhattan and creates a surprisingly emotional movie. I’m a sucker for feel-good films, and this one definitely tugged at my heartstrings while also making me laugh at most of its jokes. The Muppets revived the series, earning a total of $165 million worldwide. The sequel, Muppets Most Wanted, came out three years later. I’m noticing a pattern here. 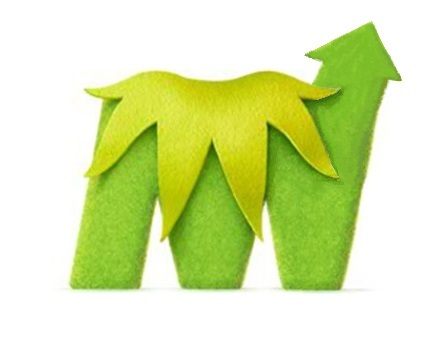 Whenever a Muppet movie does well at the box office, the follow-up tends to earn half as much. That’s definitely true in this case because Muppets Most Wanted earned $80 million worldwide. I haven’t seen it yet, but it looks like a remake of Ernest Goes to Jail, with the good-versus-evil lookalikes plot. And now the Muppets are returning to the small screen with the appropriately titled TV show The Muppets. This show won’t follow the exact same format as the two previous shows. It looks like it’ll be more of a parody of reality shows and documentaries of stars’ lives. I hope this show will finally find an audience and stick around for many years. I grew up enjoying a lot of what the Muppets had to offer, and I’m happy to see them back on top. I can’t believe it’s been 25 years since Jim Henson passed away. There’s a good chance his creations and his legacy won’t be fading away anytime soon. Life is full of ups and downs, and sometimes we might feel like a grouch, a pig, or a whatever-the-heck-Gonzo-is, but if there’s one thing that the Muppets have taught me, it’s that you can be happy by just being yourself. The Muppets have been doing that for decades, and they still have the power to bring a tear to my eye and smile to my face. This entry was posted in Random Stuff and tagged 1980s, comedy, empire strikes back, films, fun, funny, humor, jim henson, movie franchise, movie review, movies, muppet movie, muppets, star wars, TV shows. Bookmark the permalink. Having lots of celebrity cameos is the MO of Muppet movies. I especially the moment when Oscar the Grouch shows up with another famous actor in The Great Muppet Caper and they both comment on what they’re even doing there. The songs in The Muppets (2011) are at least as catchy as the ones in A Muppet Christmas Carol. It’s just a fun little film. Your description of Muppets Most Wanted is kind of what I was expecting from it. Just a typical Muppet movie. Nothing wrong with that, really. You should definitely see Muppets Most Wanted. It’s funnier than the 2011 movie, and the Muppets themselves get to be the main characters. great article, I always preferred Gonzo myself growing up through the 80’s and 90’s as a kid. Back in 1999 when I heard that the next James Bond movie was going to be called “The World Is Not Enough,” I worried that it was going to take the Bond franchise in a “Moonraker” direction.